Bob Marriott's Education Center offers classes in Beginning Fly Fishing, Fly Tying, Rod Building, Saltwater Fly Fishing, Casting, Entomology and more. Private instruction is available as well. 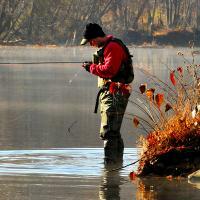 Check out all the upcoming fly fishing events! 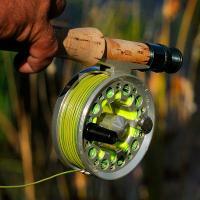 Wild on the Fly is your one stop destination shop for all things fly fishing travel! We now offer a full service Equipment Recycling Program that saves resources.. and puts some "green" on an account for you here at the shop! 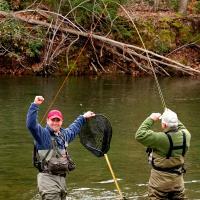 Welcome to Bob Marriott’s Fly Fishing Store! Bob Marriott started with a small fly shop nearly 40 years ago, where coffee and Oreo cookies were the biggest attraction. That small shop has evolved to a 7,000-square foot fly fisher’s 'toy store', with a full-service Fly Fishing Travel Center, Fly Fishing Education Center, and so much more! Bob's slogan has long been, “If we don’t have it, you probably don’t need it,” and once you peruse our extensive inventory, we think you will agree. 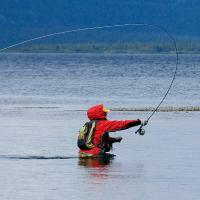 Bob Marriott's Fly Fishing Store is so much more than a fly shop – think of us as a full-service fly fishing center. 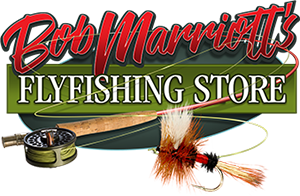 We are constantly working on enhancing the content and features of this website to ensure Bob Marriott’s Fly Fishing Store is “the” place for all of your fly fishing needs.